I sat in church yesterday and listened to our pastor preach on David & Bathsheba. The story is, I think, the low point of David's life. It reminds me that everyone messes up. No one is outside the pull of sin. However, it also reminds me that no one is outside God's grace. God wound up restoring what David's sinful choices took from him--but that restoration didn't exclude the pain of David's consequences playing out. Sin will always, always, always come with a price higher than you wanted to pay, even if that payment doesn't arrive for years. I think that's why sometimes we so badly want to forget our moments spent away from God. They are dark. They are painful. They are our own personal low points. I think back to my mess-ups. Moments that want to paint me with shame. Moment's I'd rather ascribe to anyone other than myself. Yet they are all mine. But here's the thing, friends, we need to remember our sin. See, as I sat listening to the sermon, my past filtered through my mind. And while my sin still wanted to cover me in shame, do you know what spoke even louder? God's grace. 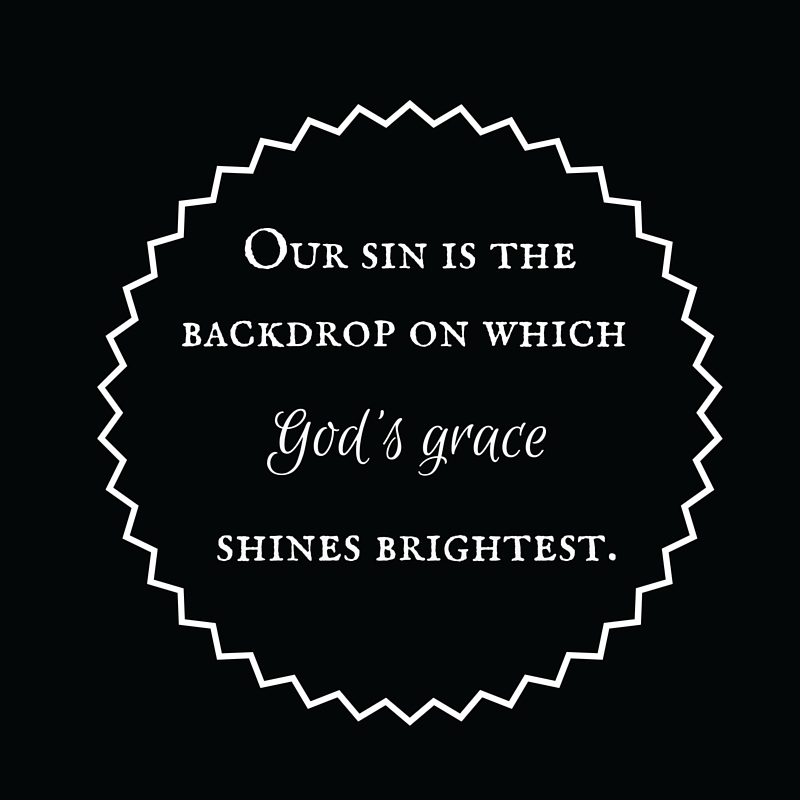 That's because our sin is the backdrop on which God's amazing grace shines. How dare we try and forget it? By removing our mistakes from our past, we silence our testimony. It's through the lens of who we were verses who we now are that our praise is born. It's also how he uses us. Our stories speak to those still struggling. It pulls them toward the only Person who can heal them. Don't eliminate your testimony from your life. Let your sinful reminders speak to the power of God to transform anyone from anything. There is nothing too big for him. No one too far from his reach. 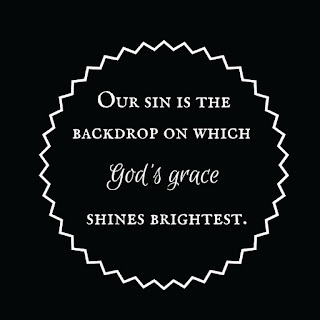 Rather than our sin still reaching for a spot of shame in our lives, let it bring glory to the One who redeemed us.